It’s hard to believe that #40 is already here. I’m so blessed to have met amazing women like you that I cherish! and some laid-back fun in the sun! Marshawn’s Fabulous Forty Birthday Celebration. Please be sure to join the exclusive Facebook Group page! as updates will appear there. I will also post fun facts as time gets closer! What a fun and magical time it will be! Please email or call 781.662.1953 EST for any further questions. Majestically located on the stunning white beaches of Riviera Maya, UNICO 20°87° immerses guests in the culture of the region, from the locally-inspired cocktails and cuisines to the art in the rooms. Three unique pools along with a holistic spa and wellness center drive home a sense of relaxed luxury, while exciting pop-up events insert a touch of spontaneity into the experience. The Alcoba Ocean Front rooms are perfectly situated closest to the ocean. These rooms are intimate, spacious and true luxury! With an exterior hydro spa tub within a private lounging area, full relaxation is calling! The interior is elegantly modern. Warm woods and sisal surround you peacefully in classic Mexican charm. The Alcoba Ocean Front rooms are 624 SQ FT with choice of 1 king bed or 2 queen beds. Exclusive All Inclusive (see inclusions below) group rates are nightly, NOT per person. Guests wishing to share a room with another guests would opt for double occupancy at the night rate of $436.15 (continue reading on for more information on room share procedures). Guests may opt for King bed or 2 Queen beds with either single or double occupancy choice. NOTE: Room share is not guaranteed, every effort will be made to match guests based on number of RSVP requesting share. A block of rooms is held until June 15. 2019. Kindly complete your reservation prior to this date to ensure you have secured a room. You may opt to arrive earlier and/or stay later. The group rate is extended for your pleasure, 3 days pre and 3 days post the room block dates of August 01 (established group arrival date) and August 05 (established group departure date). If you wish to extend your stay, please complete the reservations form with exact dates requested. For guests wishing to share a room, looking for a share partner, kindly complete the form below. All requests will be collected to be reviewed and arranged by Marshawn, once all requests are in. Alcoba Oceanfront rooms - two double beds. Please complete for sharing of room request. All requests will be reviewed and completed by Marshawn. Guests are asked to provide a valid credit card for a deposit of $200 per room. Guests doing a room share that have a room mate already, please be sure to indicate both names on your reservation form. Double rooms/share may provide 1 card for full deposit or 2 cards to split the deposit. Reservation form will guide you accordingly. Balance of stay will be required at check in with major credit card. Guests doing room share may provide individual cards to split balance of payment at hotel. When you are ready to book your room, please print and complete the reservation request form. Completed forms may be scanned and emailed to Linda Mitchell . Your confirmation letter will then be forwarded to you within 36 – 48 hours. Guests that have signed up for a room share request, please indicate on form. Your card will not be charged until room share details are completed. Should your plans change you may cancel your room up to 3 days prior to check in at no penalty. Within 3 days of arrival cancelled reservations will be charged 1 night room rate penalty. Please read on for suggested travel insurance information. At UNICO 20°87° they have redefined the all-inclusive experience by offering the unexpected. Your stay includes select spa and beauty salon treatments plus all the amenities of a luxury boutique hotel, combined the comfort and convenience of an all-inclusive. A 25% service fee applies on all Spa inclusive treatments. Booking spa treatments ahead of arrival is always a good idea. For your convenience Spa treatments and Wellness menu and book Spa. Note: THE TOURIST CARD IS PER PERSON INCLUDING CHILDREN. 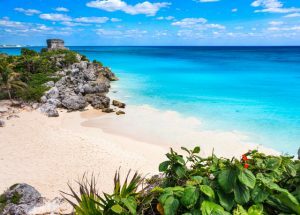 ​EXPEDITE YOUR ENTRY – ​When you arrive in Mexico you present your printed Tourist Card, your passport, and since your information is already in the system , the Immigration Officer just needs to stamp your Tourist Card. Visitors must keep their card with them at all times, since immigration federal officers have the right ask visitors to provide proof of their legal status at any time. 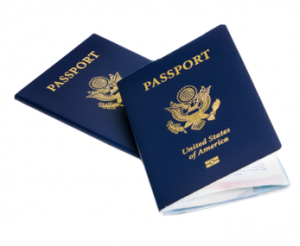 U.S. citizens must return their tourist card when they depart Mexico. Please make a copy of your passport and your tourist card and keep separate from these documents for safe keeping. Leaving a copy at home with family is also a good idea. When entering Mexico you are handed an exit ticket. Put it in a safe place and do not loose it. There will be an extremely high fine for lost exit tickets. Customs: You will be given a customs form on your arriving flight. Please have completed when you land. After clearing immigrations and collecting your luggage, you will proceed to the exit. When handing the form to the customs agent, you will be directed to press a button that will give you random green light or red light. A green light means “go” and red means “inspection” in which case, officials perform a quick inspection. As a rule of thumb you are allowed to bring into Mexico whatever you need for the time period you will be staying in Mexico. You are not allowed to bring food, fruits and/or products that are not “company” packed and sealed. Food or products they are allowed only if you need them because of a special diet or for medical reasons. You are allowed to bring enough medicine for the time period you will be in Mexico. If you are bringing an unusual quantity of medicine please bring a doctor’s prescription just in case you need to prove the medicine is for your own consumption. At this time fares are running in the low to mid $500 range. Fares are subject to change based on availability. For guests that are traveling from other airports, please email me for flight schedules and applicable fare quotes. There are not any discounts for flights. 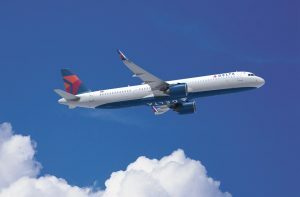 Booking direct on the airline website is always best once I provide you with schedules and fares. Airport transportation will be arranged for you once the flight information is complete. If you would like a private transfer per info here, please advise. Otherwise shared transport will be arranged within the group. Transfers are via a direct transportation company with Unico. Vehicles are safe and will have English speaking drivers. WI-FI is available on board for your convenience. Drive will meet you as you exit the inner area of airport. More info TBA with transport confirmation closer to travel date. Rates roundtrip, Cancun Airport to Unico and return. Transport can be charged direct to your room bill to be paid with any incidental charges at end of stay. All Transportation must be booked in advance up to 48 hours prior to stay. Please inquire about travel insurance . 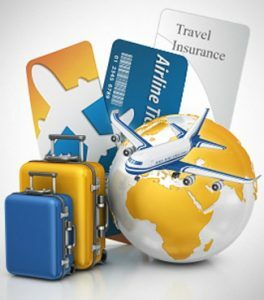 Travel insurance is always a good idea, to protect you in the event of unforeseen circumstances that could occur. Once your hotel and flights are booked, email for quote. Please include your date of birth. Every guest must provide a credit card at check in. Debit cards provided at check in will be subject to a hold of funds. It is best to use a major credit card. Check with your cell phone carrier for plans that will be the best value. Verizon has a $10/day option that allows you to use your data and calling plan without extra roaming charges. You can put the plan on your account at any time. It is only activated when you are outside of the US. UNICO maintains high standards of water and food purity. But I still recommend sticking with bottled water. That is my rule of thumb wherever I travel. Be aware when you are not at the hotel to avoid uncooked foods and water that is not bottled. Refrain from ordering drinks with ice cubes at airport and on the return flight. My personal tip when traveling anywhere outside the US is Activated Charcoal. My favorite is a Coconut Charcoal from Bulletproof. Great to always have on hand for tummy upsets! It is wonderful when you are eating outside of your usual pattern. TSA – New rulings now include removal of any powders and foods that are in your carry on. Pesos – $1.00 = 18.84 pesos – You will not need to worry to much about pesos unless you plan to do an activities outside the hotel. Travel safe – It seems at all airports now there is someone looking to sell to you. The Cancun Airport will have people that will attempt to get your attention when you are leaving. Your driver will be waiting for you in full recognition. Please proceed to your awaiting driver to enjoy the start of your trip. Please check back on this page often as I will add updates if needed. Please also reach out to me with any questions at any time. I am proudly your travel concierge!